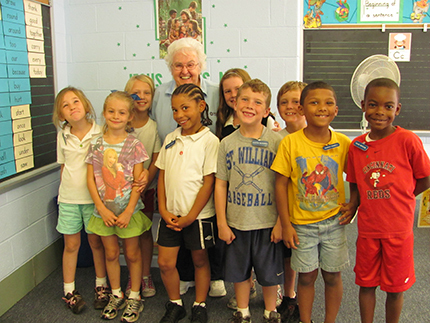 While many recognize the considerable impact that the Sisters of Charity have had on Catholic education in Cincinnati, few realize the scope of their presence in Catholic education across the nation. 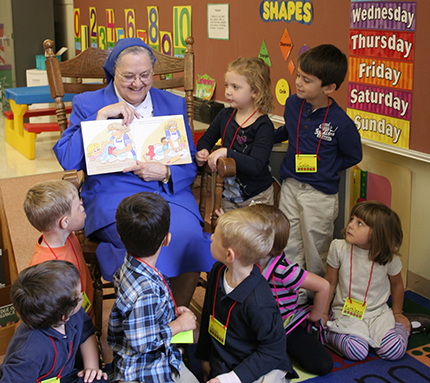 In honor of Catholic Schools Week, we will feature nine schools that have been served by the Sisters of Charity and continue to embrace the SC mission and the core values of Catholic education. Academy in Albuquerque, New Mexico. 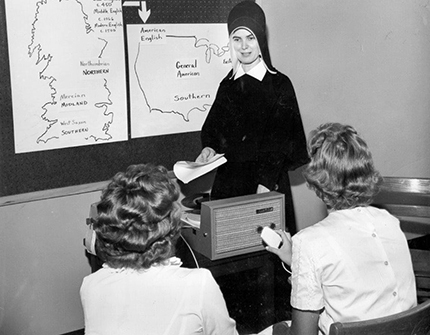 S. Judith Metz was not only a History teacher at her alma mater, but she also served as the director of student activities. Sister says that she owes her loyalty to her school because of the tradition of service and leadership that has been preserved since her time there. 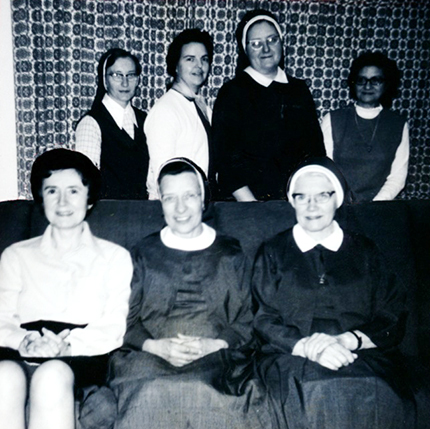 “We learn through leadership and serve at a multitude of organizations for a variety of people.” This tradition has withstood the test of time since it was founded in 1854 by the Sisters of Charity. 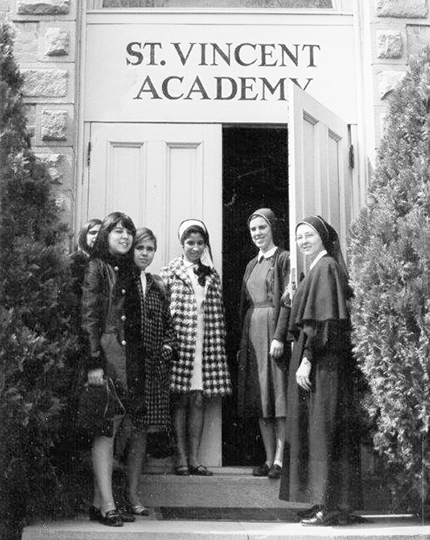 Seton High School since its founding in 1854. 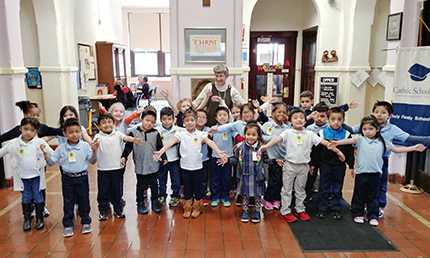 “[The Sisters of Charity] taught the children to live life well and to be a part of the community; the Sisters did a good job of introducing education to Cleveland and inspiring children to learn,” says S. Marie Patrice Joyce, former principal at Holy Name School. 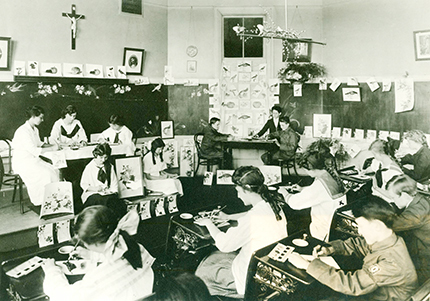 Sister is proud to have been a part of an institution that thrives on helping their students become well-informed citizens through their learning curriculum that has adapted with the Sisters of Charity since 1914.
active community that has included the Sisters of Charity since 1914.
lovingly ministered at Divine Redeemer in Colorado Springs for 32 years. 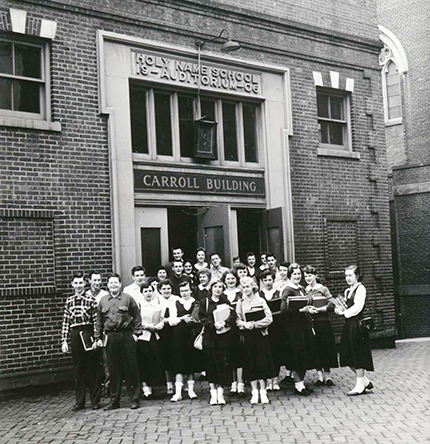 Elementary community since it was founded in 1873. 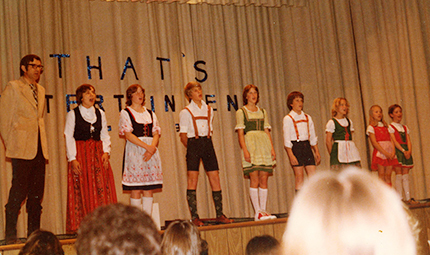 S. Jackie Leech referred to Cathedral School, a school that many Sisters of Charity ministered at in their 91 years there, as a “melting pot” because of the diversity of culture and thought, which enhanced the learning experience of the students and naturally adhered to each part of this year’s theme. “It was a happy school where the students got along, teachers were liked, learning took place and our values were formed which took us into the future to lead, serve, learn and succeed,” she says.